When I found out we were going to be leaving Edinburgh, I made a mental note that I should try and do some kind of personal guide to the place. An Edinburgh Alphabet. After ten years there, I’ve seen some of the best and the worst of the city, without ever making much effort to document it in a coherent way. I scribbled a few notes down, but never really found the time to do it properly. Now that we’ve left, it has actually become easier to think about. A bit of distance is making me reflect on the things I miss, the most important memories, and what it is for me that really characterise Edinburgh. This is very much a personal thing rather than a comprehensive guide, and I can’t guarantee the factual accuracy of anything I write, but here’s the first installation: A through to C.
Arthur’s Seat. It’s an obvious one, I know, but how can you write about living in Edinburgh without mentioning the big old volcano in the middle of the city? I’m ashamed to say that I haven’t climbed up there since DorkySon was born, but prior to that it was one of my regular weekend walks when I needed a glimpse of the sea and a wee hooley blowing in my face. As a student I walked to the top in high heels and a mini-skirt, at 3am, after a night out. Amazingly, I didn’t injure myself or anyone else. Beltane. Fires! Nakedness! Another of Edinburgh’s lovely hills. What could possibly be bad about that? Bennets. The best pub in Edinburgh. Bar, erm, none. Bennets is absolutely beautiful inside, and still has lots of original, ornate features. More importantly though; it has a great selection of whisky and beer, friendly staff, an open fire, and steak pies at lunchtime. The occasional stand-offs – between the grizzly old-man-regulars and the heavily perfumed luvvies on their way to a performance at the Kings Theatre next door – have provided some of my top comedy moments in Edinburgh ever. Butterflies. This is the first place I ever went on my own with DorkySon, when he was just a couple of weeks old. Butterflies has cornered the market for tired, terrified new mums, and it’s always heaving with NCT group reunions. They provide cheap tea and cakes, acres of space for parking prams, and there’s always someone sympathetic there to jiggle your wailing wean while you nip off for a pee. Blackford Hill. Arthur’s wee brother. With a duckpond and swings at the bottom. Lovely, lovely, lovely. Charlotte Square. 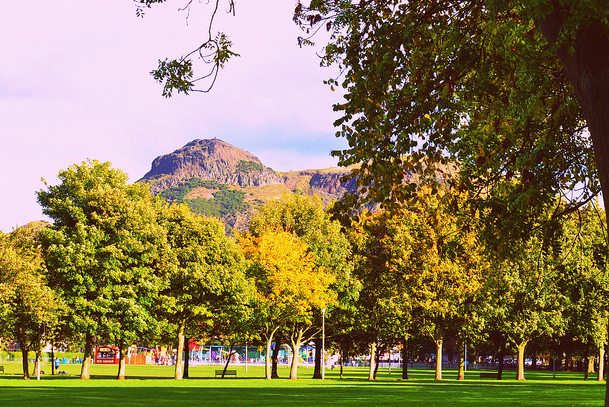 For eleven months of the year, Charlotte Square is just another Edinburgh park. Green, pleasant enough, usually pretty quiet. And then there’s August… when thousands of people stream through the gates every day. I’ve been to the Book Festival as an employee, a paying punter, and a reviewer. On sunny days, you sit on a bench with a friend and drink white wine. On wet days, you put on your wellies, and laugh at the yellow rubber ducks that the ever-cheerful staff members have left floating in the puddles. Even at its busiest, Charlotte Square provides a welcome little bit of quiet, away from the hustly bustly craziness of the Fringe. And it’s the only Festival in the city with yurts. Yurts. What’s not to love? Cherry Blossom. If there’s anything prettier than the Meadows in full bloom, I’m yet to find it. Cloisters. Another good bar with an open fire, good pub grub, and some lovely guest ales. This is the first place DorkyDad and I ever went on a date… although we didn’t really know it was a date at the time. We were just meeting for a wee chat about poetry. I’m getting all smiley and warm just thinking about it. See what you started, Cloisters? You see?! My D-Z of Edinburgh will follow in three, possibly four more posts over the next few days. Meantime, I’d love to know what your favourite things are to do in Edinburgh. Where do you like to go? Who do you like to see? Where do you shop, eat, and sleep in the city? Please feel free to leave your thoughts in the comments below. Love it. Reminds me of all the bits I miss about Edinburgh. I used to go up Arthur’s Seat as often as I could, always made me feel better. And I once lived around the corner from Bennet’s. Sigh. Still in A-C, I love the Cafe Royal Circle Bar because it has a marvellous big tile picture of Faraday (and others, but Faraday is the best) and I am a big physics dork. I also like its over-the-top Victorian decor. A great place for taking tourists. 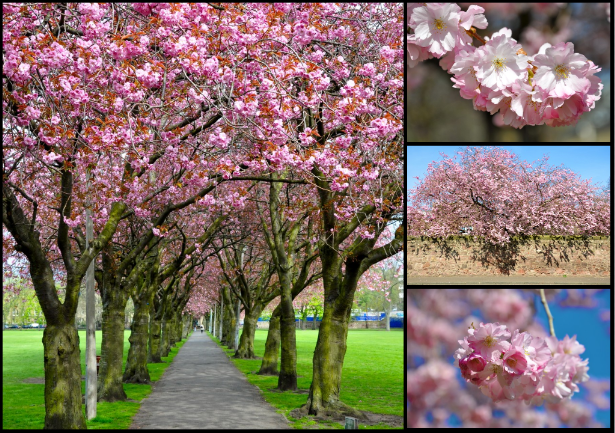 I love your blossom pictures there! So cheery! Ooh, that’s a good suggestion, I really like it in there. I think I may have to come back and edit these as I remember things! Starting to feel grateful for only tackling a few letters at a time! Ooh thanks for the butterflies link, ill be a new mum next year (well fingers crossed) so ill need all the local help i can get! I love Cloisters too, i’d add the two Cask and Barrels to the list too. Great Ruth! Love reading this but you have to include the Botanic Gardens. You could get it in under another inital with not tooo much diffculty!! 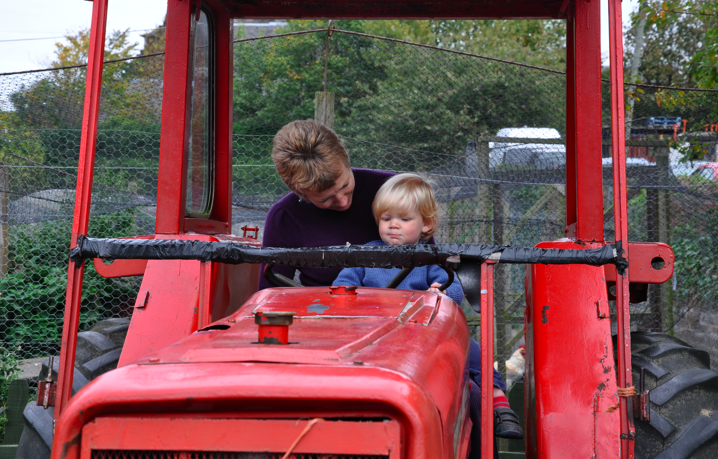 Love this post Ruth…what a great idea! It’s bringing back so many memories …. Couldn’t help but giggle at the thought of you climbing Arthur’s Seat in heels at 3AM! Did you want to see the sunrise? Sounds like something I would (probably still would) do!! Can’t think of a better city to be a student…oh the memories! I’m not sure, it just seemed like a good idea! That was the problem with Pollock Halls being right at the bottom – too close and tempting! You’re right – it’s a great place to be a student – even if some people end up getting locked in the McEwan Hall on graduation day, ahem!! Fond memories of the Cameo – on our first trip to Edinburgh in ’99 me and the ex went to see ‘My Name is Joe’ there – proper comfy old seats, great film, and a stroll along lively Lothian Road afterwards.